A former civil servant, he also carried out extensive research on the Tamil Brahmi script. 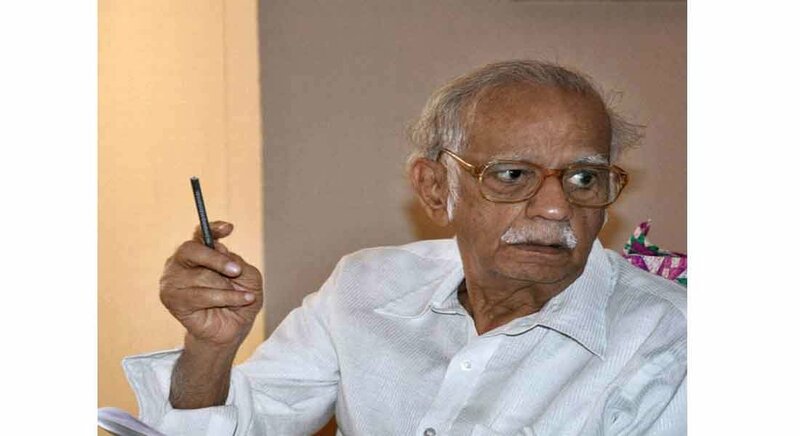 Globally acclaimed epigraphist Iravatham Mahadevan, 88, an expert on the Indus Valley and the Tamil Brahmi script passed away in Chennai early on Monday. He is survived by his son Sridhar and grandchildren, Vandana and Vinay. Born on October 20, 1930, Mahadevan completed his school education from Tamil Nadu, Tiruchirapalli, and attended college at Vivekananda College, Chennai and later pursued legal studies in Madras Law College. A Padma Shree awardee, Mahadevan was a civil servant who had served the Central as well as the Tamil Nadu government, before he took voluntary retirement in 1980, The Hindu reports. He later became Editor of Tamil daily, Dinamani. “In the last three decades of his life, he devoted himself to the study of India’s early writing systems. He kept in active touch with leading scholars if India, including historian Romila Thapar and Finnish specialist on the Indus Valley Script, Asko Parpola,” the report said. Mahadevan also founded the Vidyasagar Educational Trust to support under-privileged children, in the memory of his late son. According to the report, The Indus Script – Texts, Concordance and Tables, compiled by Iravatham Mahadevan with a grant from the Indian Council of Historical Research and published by the Archaeological Survey of India in 1977, continues to be a definitive and an indisputable resource for Indus Valley scholarship. “His ‘Early Tamil Epigraphy’, first published jointly by Harvard University and Cre-A in 2003 and later by the Central Institute of Classical Tamil as a thoroughly revised version in 2014, is regarded as the most authoritative work on early South Indian epigraphy. Mr Mahadevan also established the Indus Research Centre at the Roja Muthiah Research Library with his personal funds,” the report said.